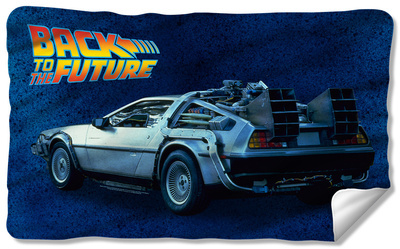 October 21, 2015 - Back to the Future Day Is Here! When Marty McFly and Doc Brown traveled into the future, they landed on October 21, 2015. Pop culture and science fiction fans have waited years for the real date to become reality—and that moment has arrived! What’s more interesting is that some of the technology and trend predictions that are depicted in the franchise are becoming reality (hoverboards, culture fusions, quickening pace of life, holographic technology). 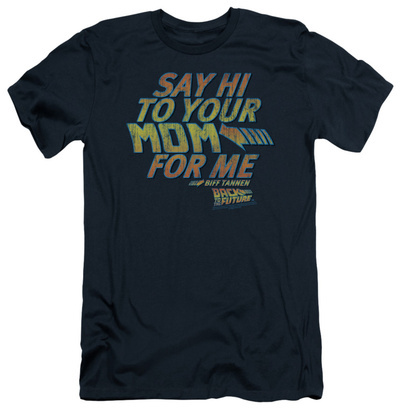 Let’s take a look at the major characters and events of the film, portrayed on the collection of Back to the Future merchandise for sale on our site. Use the buttons below to navigate through our list. The “Back to the Future” trilogy features the quick-witted and rebellious Marty McFly as the protagonist. Despite being a risk-taker, he’s a good-hearted guy and displays loyalty to the friends and family around him—and he’s accident-prone. Which leads to a variety of difficult situations and timeline changes. Nevertheless his intelligence and bravery saves the time-stream and the lives of people he cares about. No wonder we still adore him 30 years later! “Back to the Future” popularized the real-life DeLorean. Within the trilogy, the car achieved time travel capabilities when it reached 88 miles per hour. 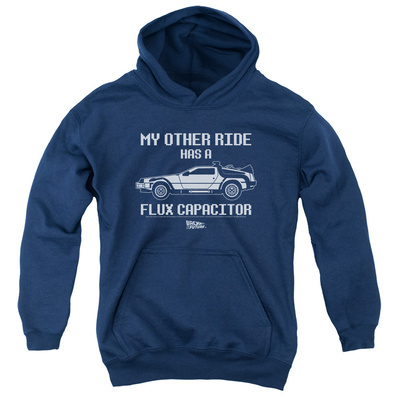 In theory, its flux capacitor activated a time wormhole and the driver slipped into a time-stream and arrived at a chosen period in the past or future. Marty McFly, and Doc Brown, journeyed from 1885 to 2015 throughout all the three films. Another important source of fuel for the DeLorean time machine was plutonium. Since it wasn’t available in 1955, Doc Brown devised a plan to use lightning. He directed electricity to the car by hooking up wires from the vehicle to a clocktower which attracted lightning strikes (“Back to the Future” 1 and 2). Did you know that the BTTF Clocktower was featured in other Hollywood movies? 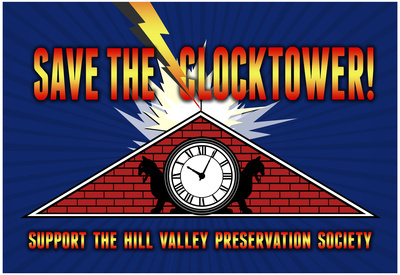 Since 1948 the Clocktower was displayed in An Act of Murder, Inherit the Wind, To Kill A Mockingbird, Bye Bye Birdie, Gremlins, Bruce Almighty and Ghost Whisperer. 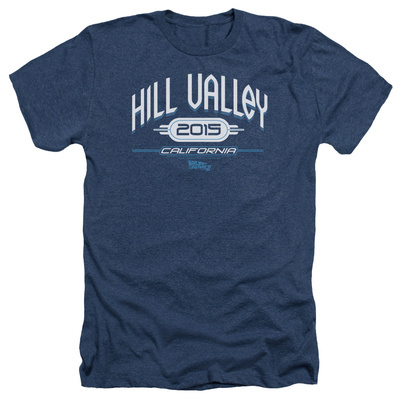 Hill Valley, California is a fictional town in the Sierra Nevada Mountains that serves as the central setting for the events occurring throughout all three BTTF movies. The real location of the town is the backlot of Universal Studios. The landmark Courthouse Square also appears in other movies. The cars which appear in the 2015 scenes are modifications or concept automobiles: the Ford Probe, Saab EV-1, Citroën DS 21, Pontiac Banshee Concept, Pontiac Fiero and Volkswagen Beetle. The “Star Car” and “Spinner” vehicles are props in The Last Starfighter and Blade Runner, respectively. The antagonist in all three BTTF films involved Biff Tannen (played by Thomas F. Wilson). In the first movie he was a bully who almost altered the original timeline. The second film portrayed him as a corrupt businessman with powerful political influences. 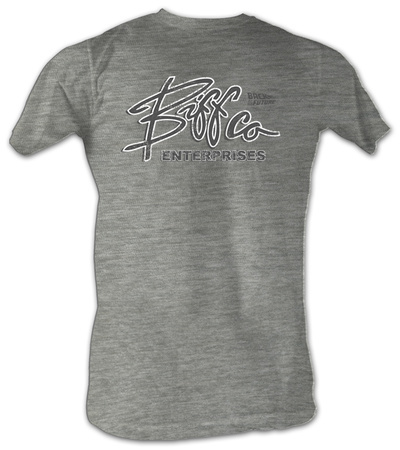 His ancestral grandfather, who resembled Biff himself, attempted to stop Marty in the third movie. 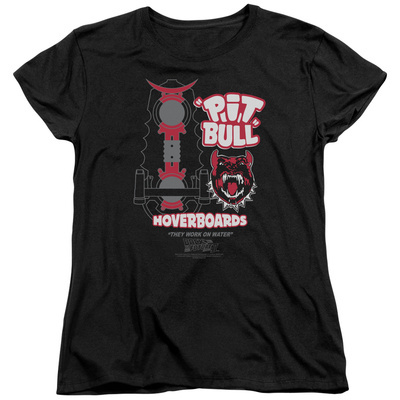 The Pit Bull was an advanced hoverboard model from the “Back to the Future” 2015 timeline; powered by rockets which allowed for extremely rapid trips with the device. Marty and Doc Brown found themselves stranded in 1885 because the DeLorean time machine was depleted of gasoline. 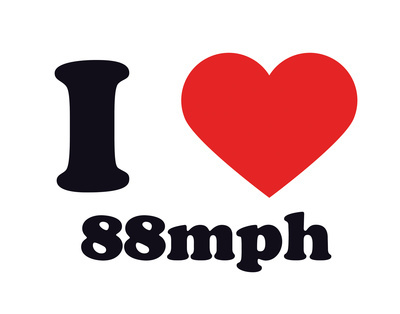 To reach 1985, Marty devised a scheme to utilize a locomotive to push the car and reach 88 miles per hour. After McFly returned to 1985, the train reappeared as a “Time Train” (the “Jules Verne Train”) with Doc Brown (from 1885) operating it. 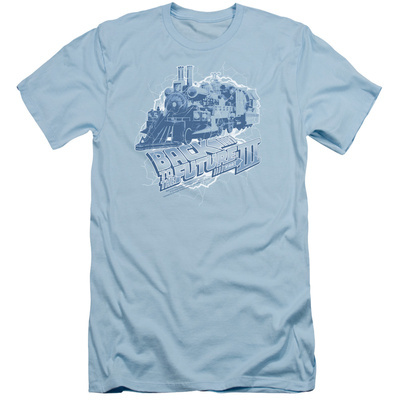 To this day, BTTF fans are still debating how Doc Brown constructed the locomotive time travel machine. 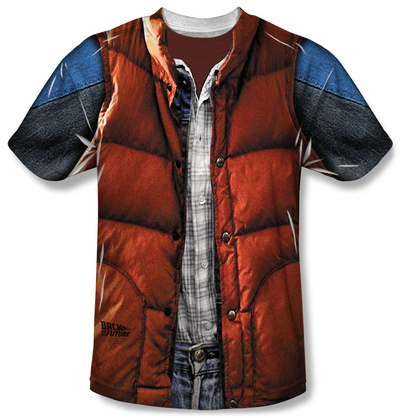 Celebrate the October 21st Back to the Future Day with our collection of merchandise. If you’ve been waiting for this date or you’ve been a fan since 1985, you will enjoy the variety of products that you can order online. 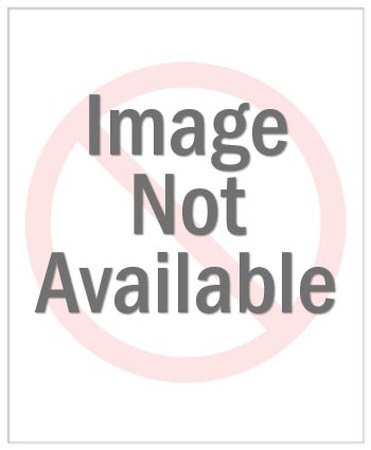 Browse today! The Star Trek Red Shirt: A Mysterious In-Show Omen?